It's the start of 2016, and with the start of the year comes the new year resolutions that often involve going to the gym or trying to eat healthier after a pretty heavy December. Now we are in February, I'm sure that many of you didn't realise how difficult it can be to live that healthier lifestyle. Matcha is a ground powder made from tea leaves originating from Japan, it is completely natural and has several health benefits. Matcha powder can be added to flavour many other different foods such as vegetables, cakes and can be introduced to smoothies. It is a bright green, vibrant tea with a subtle taste that creates a huge difference. Matcha is extremely beneficial to one's health and is loaded with 137 x the amount of antioxidants of normal green tea. These antioxidants help detoxify our bodies and cleanse our skin, and is believed to prevent us from diseases such as diabetes if consumed regularly. It helps boost your metabolism meaning you will be burning calories much faster than you would on an average day. It will also help you burn 25% more fat if you have a cup of Matcha before a workout. Something I noticed in particular about this tea was that it increases your energy. Unlike coffee, the caffeine in Matcha is released gradually making you feel super focused and alert. I am someone who is prone to feeling tired or drained and I really did see the difference once I started drinking the tea. You can purchase Matcha Green Tea* online from Eat Clean Tea starting at £17.95. They also offer a more cost effective 'Matcha Bundle' that includes 3 packets of Matcha for £44.95 or you can purchase their monthly subscription at only £15.95 per month. They also offer FREE worldwide delivery! Making this tea was really easy to do. 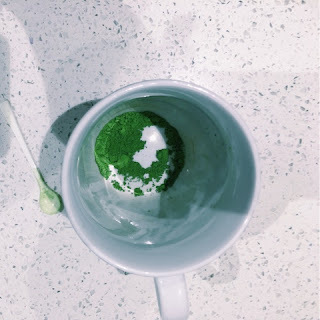 First, fill about a third of your mug with boiling water then add two scoops with the small spoon provided of Matcha. Whisk together with your frother before filling the rest of your mug with more hot water and enjoy! Drink twice a day to maximise health benefits. I have been drinking this tea for almost a week now and I have already started to see and feel the difference it makes. As I mentioned previously, the main thing I have noticed is that my energy levels have increased since drinking it. I often feel tired so this was a huge plus for me as I started to feel generally more awake throughout the day. 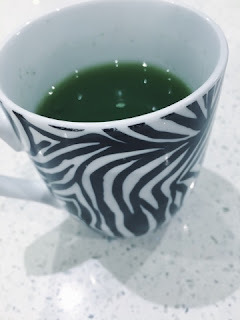 I have also noticed the 'detox' results from this tea as I suffer from occasional bloating, especially in the evening, the last week I have noticed this has gone down significantly and I have felt generally more comfortable and healthy. As far as weight loss, I haven't been using the tea as a way to lose weight as I am of quite a small build, but once I have been using it for longer I will add an update of any differences! 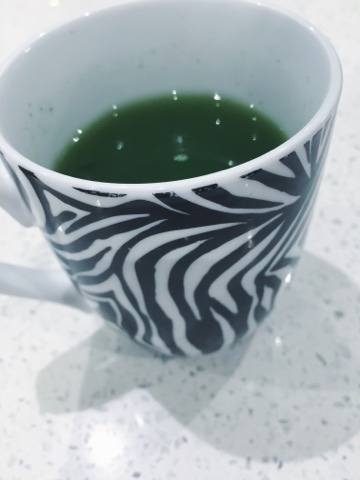 Have you tried Matcha Green Tea? Let me know what you think in the comments! 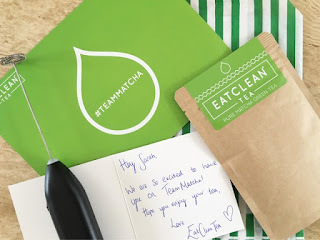 visit @eatcleantea on Facebook, Instagram & Twitter or visit their website at Eat Clean Tea.